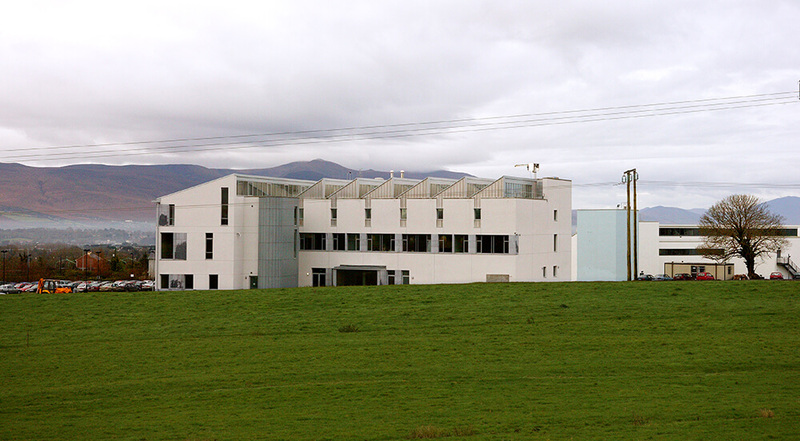 Sólás, the Centre for Nursing and Healthcare studies is the latest completed building for the Institute of Technology,Tralee on the new campus at Dromthacker. The 2800m2 building includes auditoria, function rooms and classrooms, as well as two training clinical skills labs and staff offices. It was completed in September 2004. 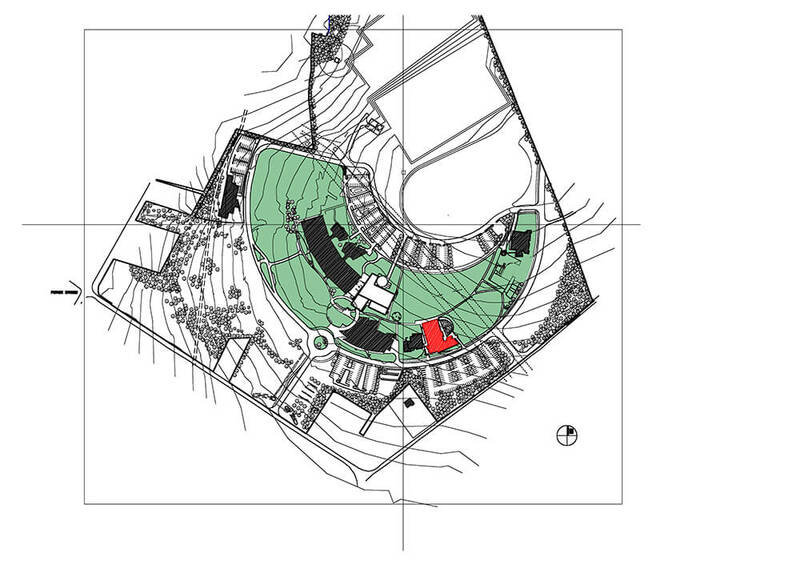 The original campus plan is based on buildings radially set out along the contours of a hill overlooking Tralee Bay. There are two “rings” of buildings, allowing a pedestrian route sheltered from strong winds and buildings are arranged to maximise southern aspect and fine views. 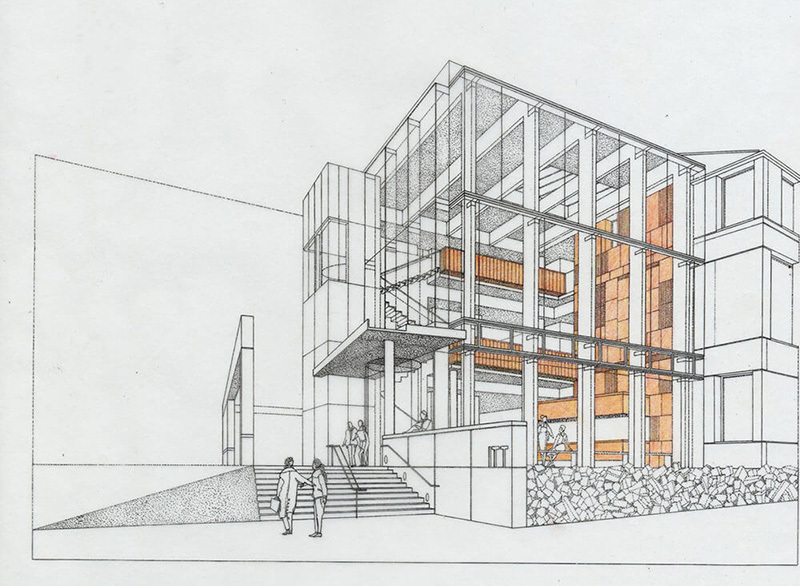 The new building on the proposed site had to work within the original concept and allow an obvious pedestrian route from the car park to the proposed library. 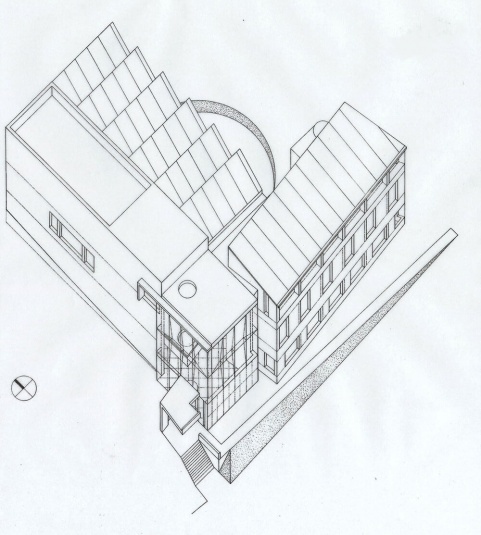 The site had many constraints, which influenced the eventual form of the building. The narrow site width, wedged as it is between the power lines and the temporary canteen, imposed certain restraints on the planning of the building, as did the sloping ground. The west elevation is kept blank, with the exception of the reading room windows to allow future expansion on the site of the temporary canteen. 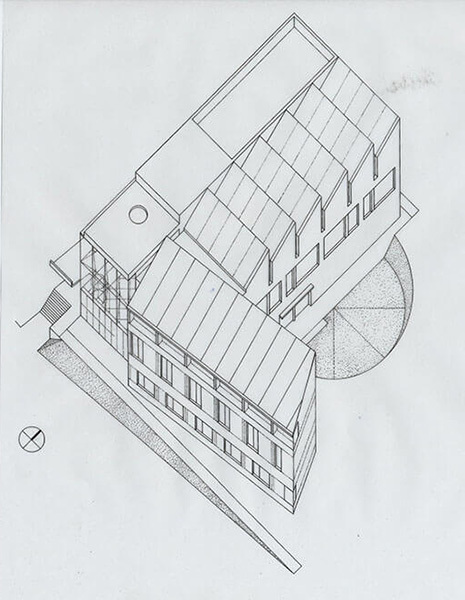 The organisation of the building in two main blocks is a logical expression of the brief. 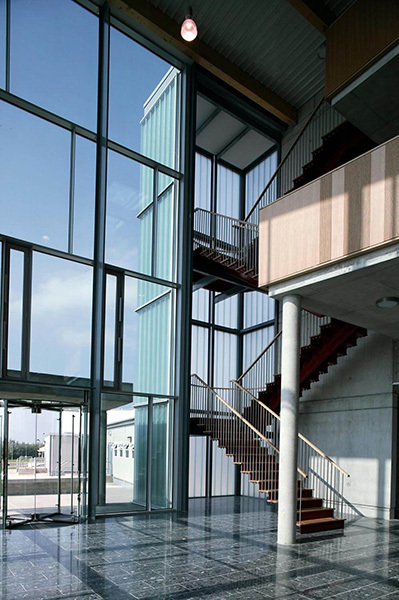 One block with the larger, highly serviced spaces, such as auditoria, classrooms and function rooms is seen as the “industrial” shed and placed to the rear. 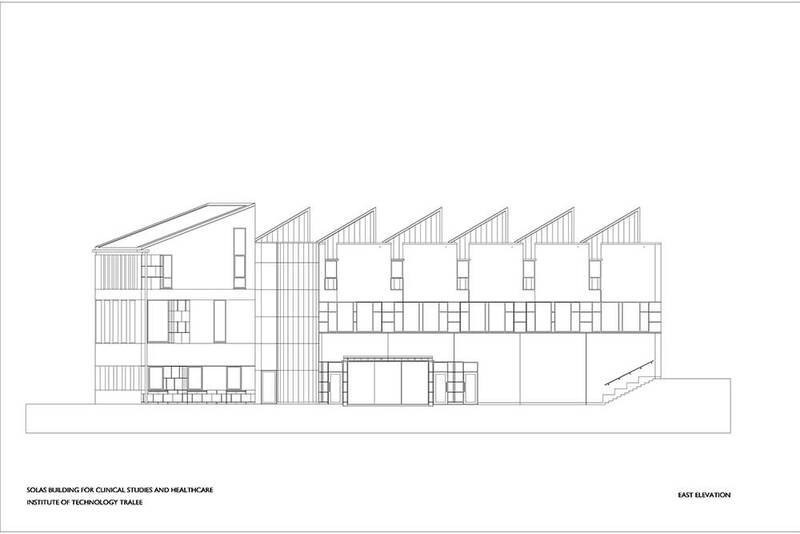 The other with smaller, naturally ventilated rooms such as offices and small teaching spaces is the frontispiece and is placed to the front with southerly views. 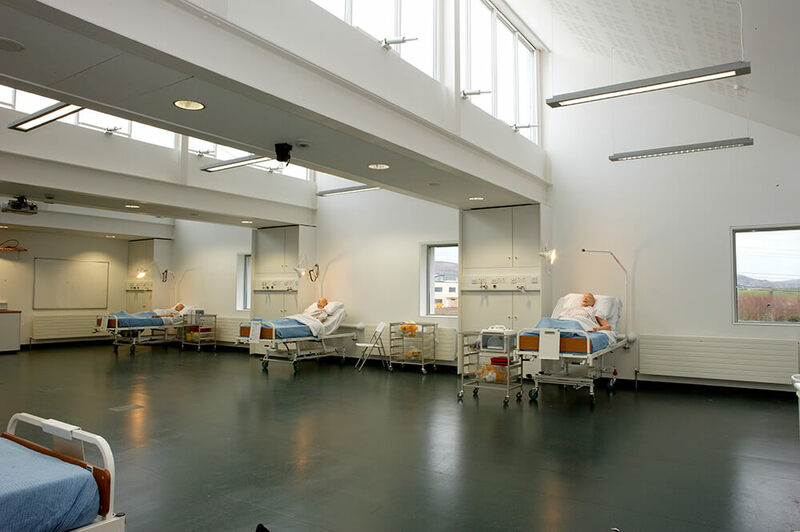 The clinical skills labs, which are training hospital wards, are placed on the top floor. 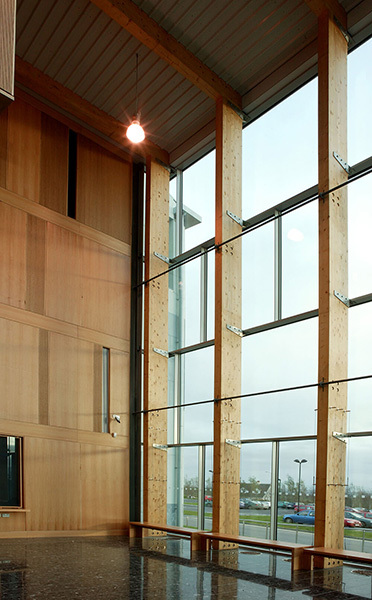 Northlights allow efficient daylighting and ventilation. 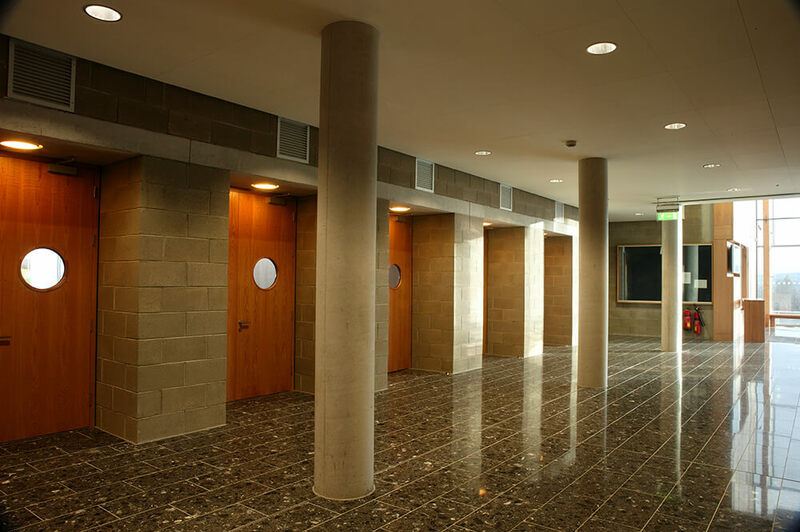 The top floor of the front block contains the academic staff accommodation, which is arranged in small offices off a central foyer. The main arteries of circulation pivot about the glazed foyer, which serves as an orientation point and allows views out to the landscape beyond. This space is designed to allow maximum interaction among staff and students by providing seating and meeting spaces wherever possible. 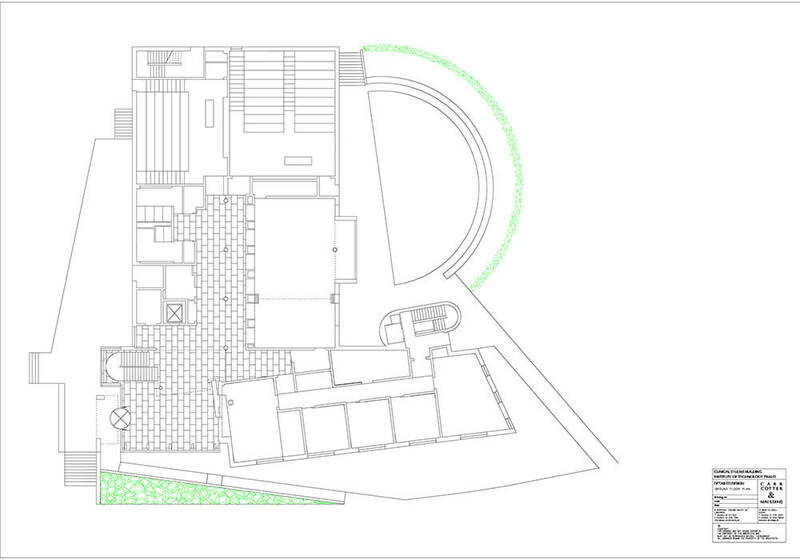 External materials were restricted by the client to rendered walls and aluminium roofs. 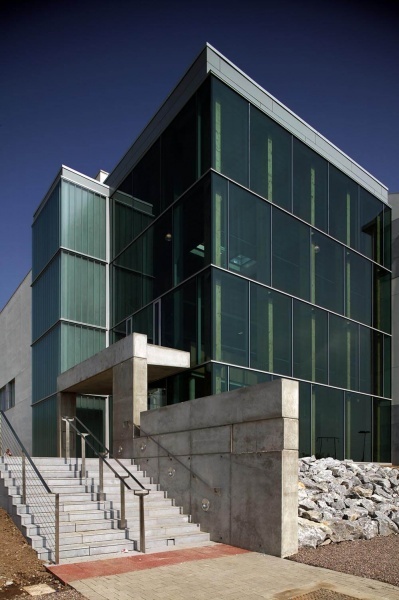 The monochromatic palette already used on the campus was continued, while the use of stone panels and textural surfaces allows relief from a bland appearance and controls and modifies large areas of render. Play with proportion and scale were the preoccupation here, rather than experimentation with novel materials. The clients policy is to use fairfaced blockwork and minimal finishes. The principle of maintaining the natural appearance of materials is adopted. Where possible the concrete frame is expressed, with walls generally set free from round columns freestanding in the lobbies. 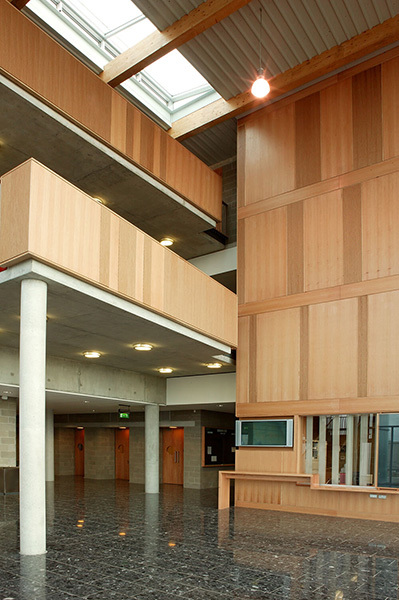 Relief is provided with red oak panels, doors and seating, with slotted panels where required for acoustics in the auditoria and entrance lobby. The exceptions to this rule are the rooftop rooms. 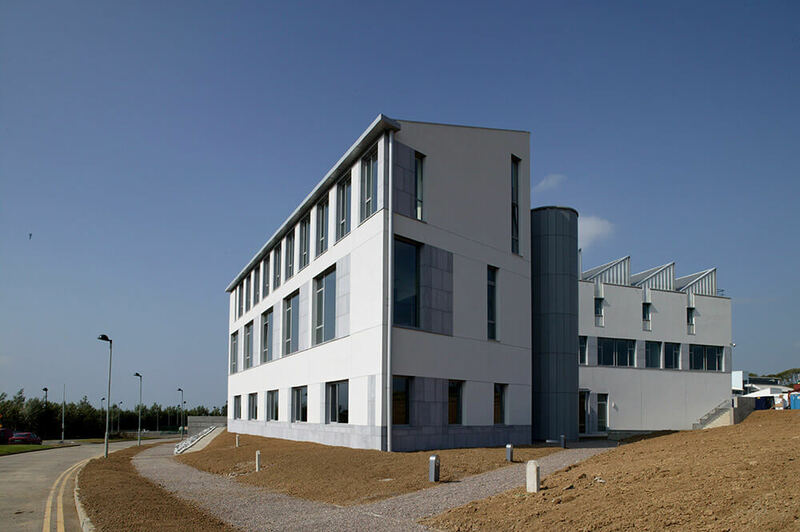 The clinical skills labs, which were required to have a clinical appearance, and the staff offices on the top floor are calm white spaces with highly articulated roof forms, full of light.